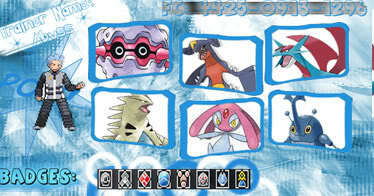 •No hax items: No use of Quick claw, lax incense or other forms of items that are based on luck. use ALL electric; its kind of hard for me as a flying gym leader. I guess I'll challenge you when I see you online! This Gym is going to be closed for the next two weeks because Dingen is going to Greece.